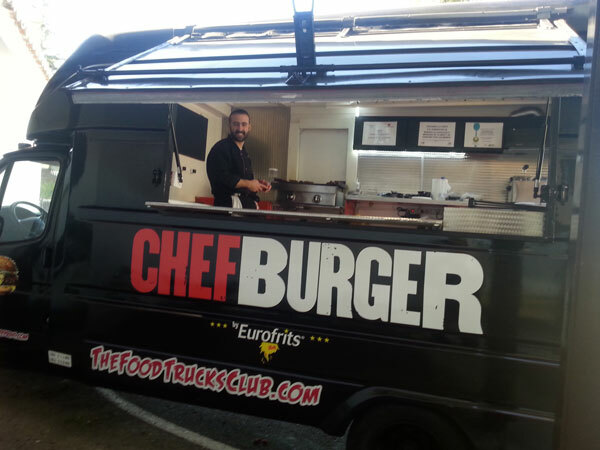 Our range ChefBurger continues to ride on wheels, presenting Eurofrits new range of Premium hamburgers all over the country. 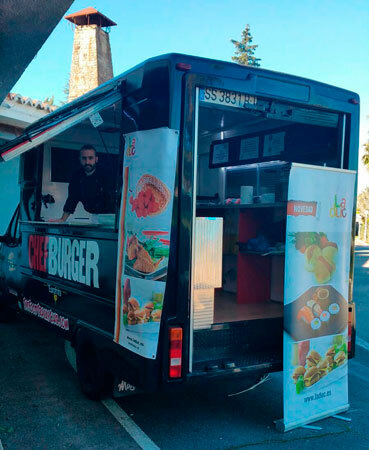 This time our food truck travelled to Cáceres to participate at Conpe´s Food Fair. And we attended in collaboration with LADUC, (Les amics du Cuisinier – Alvilardan, S.L), a company with which we have strong ties and that has favoured our products in general, and our hamburgers in particular. Conpe´s Food Fair is an annual event that gives local food professionals the opportunity to obtain first hand knowledge of manufacturers products. Many attendants used that chance to acquaint themselves with the different varieties of ChefBurger´s range, produced exclusively with 100% guaranteed beef of national origin. For Eurofrits is very important to participate in this type of event, ideal to take our products right to the doorstep of a very local audience. We will be attending very soon similar exhibits in Cuenca and Jaén, again hand in hand with LADUC, (Les amics du Cuisinier – Alvilardan, S.L). LADUC is a company specialized in the distribution of ready to go last generation food. Its objective is to offer more and better solutions for catering professionals, doing their best to remain at the forefront of culinary trends. They offer fifth generation high quality products: last generation quick preparation food. More info on LADUC.